Just wanted to let you know if you're in the Los Angeles or Orange County area to save the date - we have some fun events in the works! 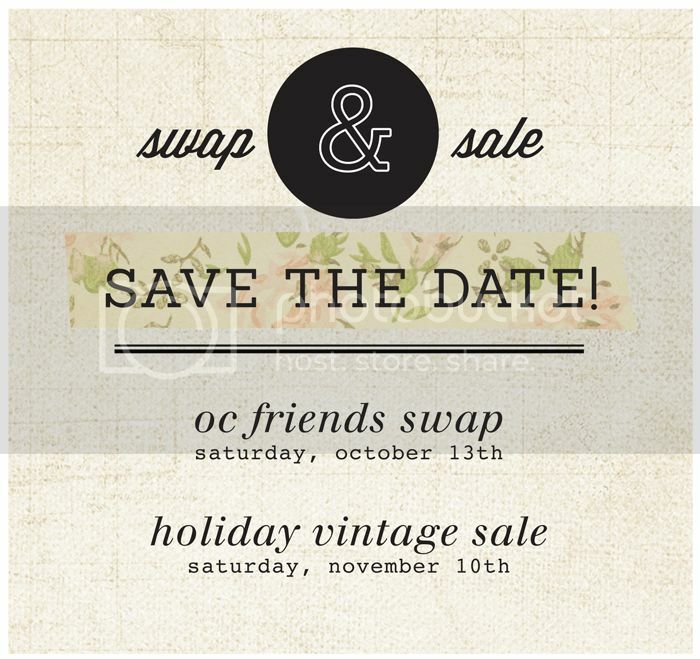 One event is a friends swap/trade - I participated in one of these a couple years ago, it was so much fun and a great way to recycle your unused stuff & take home some fun new stuff. More details to come. We'll also be having one more vintage sale for the holidays. Come and buy gifts - vintage goods make the best presents ;) You can reserve a spot for the vintage sale now - so be sure to rsvp! The OC swap sounds fun. Any other details? Do we need to register? Fellow Etsy shop owner stopping by to say hey!